← 4.1 earthquake in Devon?! I’ve stumbled upon a monthly tea delivery service called Steepster. Have you tried Steepster? They provide a collection of five premium, loose-leaf teas from around the world each month (enough for 30 cups of tea). 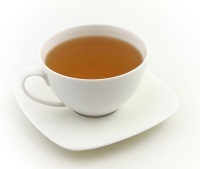 The shipment also includes tasting notes and expert brewing instructions to make the perfect cup of tea. It’s normally $24.95/month but Living Social is doing a Steepster deal for $13, if you purchase in the next 17 days! Posted on 21, February 2014, in Drink and tagged British, delivery, drink, Steepster, tea. Bookmark the permalink. Leave a comment.